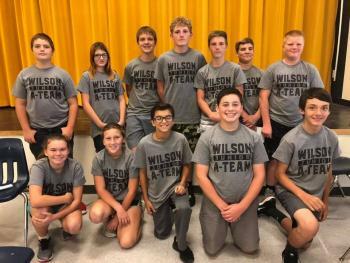 Wilson Junior A-Team had their first meet yesterday against Thackerville. The 7th-8th grade team tied, but lost by one question in the tie-breaker round. The 6th/7th grade team won their game!